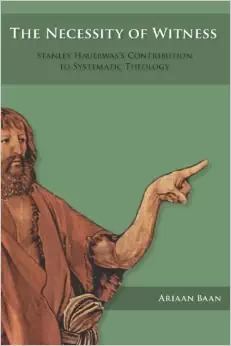 Eerdmans (August 5, 2015). 306 pages. In this book Stanley Hauerwas returns to the basics of "doing" theology. Revisiting some of his earliest philosophical and theological views to better understand and clarify what he has said before, Hauerwas explores how theological reflection can be understood as an exercise in practical reason. 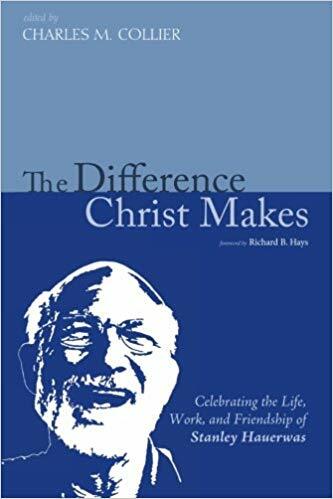 Hauerwas includes chapters on a wide array of topics, including "How I Think I Learned to Think Theologically," "How the Holy Spirit Works," "How to Write a Theological Sentence," and "How to Be Theologically Funny." In a postscript he responds to Nicholas Healy's recent book Hauerwas: A (Very) Critical Introduction. "What we believe as Christians," says Hauerwas, "is quite basic and even simple. But because it is so basic, we can lose any sense of the extraordinary nature of Christian beliefs and practices." 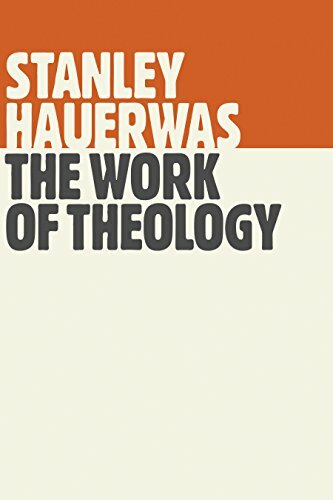 In discussing the work of theology, Hauerwas seeks to recover that "sense of the oddness of what we believe as Christians." Brazos Press; Reprint edition (April 21, 2015) 272 pages. Wipf & Stock (March 11, 2015). 252 pages. Abingdon Press; Expanded, Anniversary edition (April 15, 2014). 198 pages. 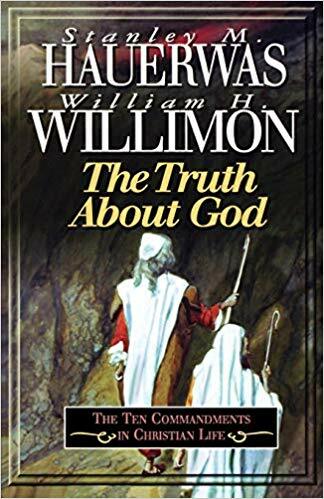 Eerdmans (June 20, 2003). 310 pages. One of the hallmarks of contemporary culture is its attitude toward aging and the elderly. Youth and productivity are celebrated in today's society, while the elderly are increasingly marginalized. 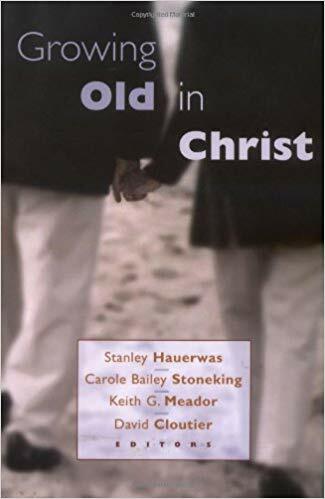 This not only poses difficulties for old people but is also a loss for the young and middle-agers, who could learn much from the elderly, including what it means to grow old (and die) "in Christ." Eerdmans (November 28, 2013). 272 pages. In Part One, "Theological Matters," Hauerwas directly addresses his understanding of the eschatological character of the Christian faith. In Part Two, "Church and Politics," he deals with the political reality of the church in light of the end, addressing such issues as the divided character of the church, the imperative of Christian unity, and the necessary practice of sacrifice. End, for Hauerwas, has a double meaning -- both chronological end and end in the sense of "aim" or "goal." 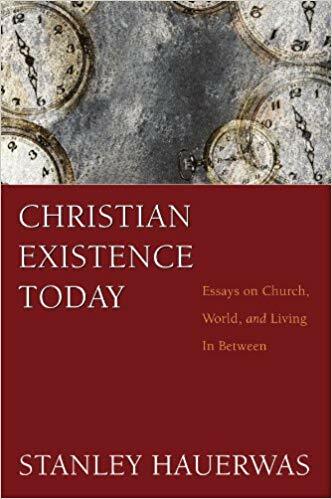 In Part Three, "Life and Death," Hauerwas moves from theology and the church as a whole to focusing on how individual Christians should live in light of eschatology. What does an eschatological approach to life tell us about how to understand suffering, how to form habits of virtue, and how to die? SEABURY BOOKS (August 1, 2013). 208 pages. Eerdmans; First Edition edition (April 16, 2010. 308 pages. A loving, hard-working, godly couple has long been denied a family of their own. Finally, the wife makes a deal with God: if he blesses her with a child, she will dedicate that child to God’s service. The result of that prayer was the birth of an influential -- some say prophetic -- voice. 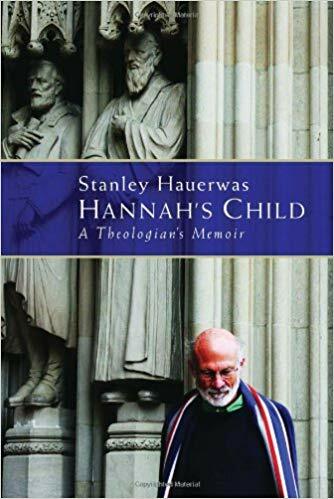 Surprisingly, this is not the biblical story of Samuel but the account of Stanley Hauerwas, one of today’s leading theologians in the church and the academy. The story of Hauerwas’s journey into Christian discipleship is captivating and inspiring. With genuine humility, he describes his intellectual struggles with faith, how he has dealt with the complex reality of marriage to a mentally ill partner, and the gift of friendships that have influenced his character. 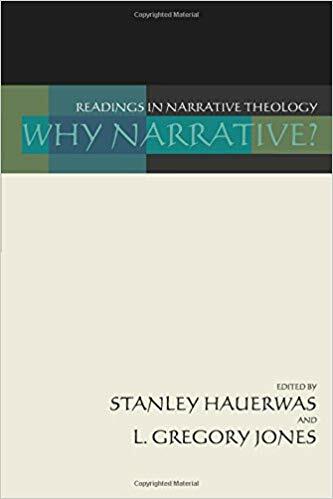 Throughout the narrative shines Hauerwas’s conviction that the tale of his life is worth telling only because of the greater Christian story providing foundation and direction for his own. Baker Academic (October 1, 2011). 208 pages. How are American identity and America's presence in the world shaped by war, and what does God have to do with it? Esteemed theologian Stanley Hauerwas helps readers reflect theologically on war, church, justice, and nonviolence in this compelling volume, exploring issues such as how America depends on war for its identity, how war affects the soul of a nation, the sacrifices that war entails, and why war is considered "necessary," especially in America. He also examines the views of nonviolence held by Martin Luther King Jr. and C. S. Lewis, how Jesus constitutes the justice of God, and the relationship between congregational ministry and Christian formation in America. Brazos Press; Paperback edition edition (September 1, 2011). 108 pages. 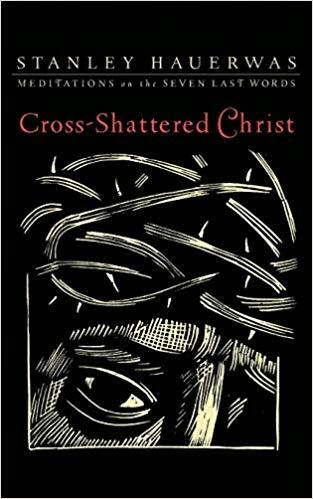 In this small but powerful book, renowned theologian Stanley Hauerwas offers a moving reflection on Jesus's final words from the cross. 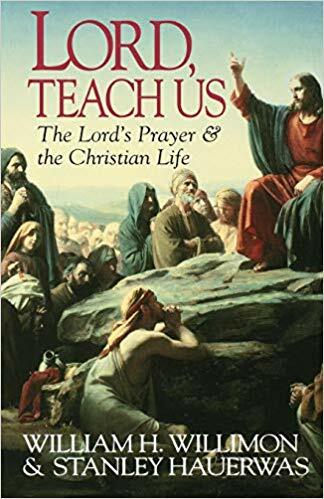 Touching in original and surprising ways on subjects such as praying the Psalms and our need to be remembered by Jesus, Hauerwas emphasizes Christ's humanity as well as the sheer "differentness" of God. Ideal for personal devotion during Lent and throughout the church year, this book offers a transformative reading of Jesus's words that goes directly to the heart of the gospel. Now in paperback. Wipf and Stock (February 16, 2011). 344 pages. The House Studio (December 1, 2010). 112 pages. Wipf & Stock Pub; Reissue edition (September 1, 2010). 282 pages. (Original printing 1988). 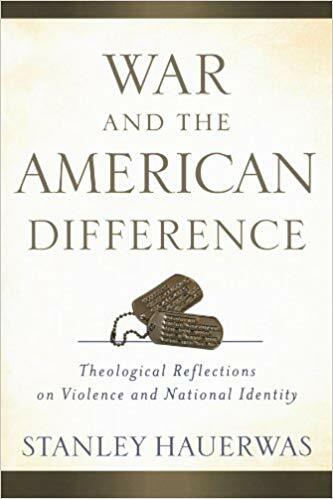 Stanley Hauerwas begins this volume with a vigorous response to the charge of sectarianism leveled against his work by James Gustafson, among others. "Show me where I am wrong about God, JeWipf & Stock Pub; Reissue edition (September 1, 2010). 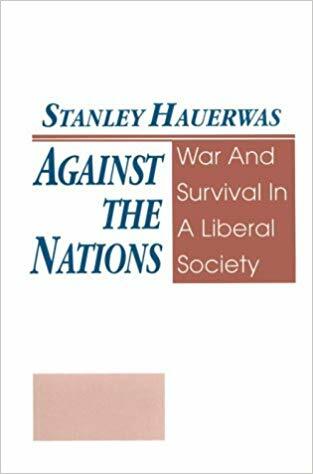 282 pages.sus, the limits of liberalism, the nature of the virtues, or the doctrine of the church," Hauerwas replies to his critics, "but do not shortcut that task by calling me a sectarian." The essays that follow explore in a lucid, compelling, firm, and provocative way the church's nature, message, and ministry in the world. Hauerwas writes on the church as God's new language, on clerical character, on the pastor as prophet, on the ministry of the local congregation, on grace and public virtue, and on the relation of church and university. Underlying Hauerwas's argument is his conviction that "the most important knowledge Christian convictions involve, and there is much worth knowing for which Christians have no special claim, requires a transformation of the self. Christianity is no 'world view,' not a form of primitive metaphysics, that can be assessed in comparison to alternative 'world views.' Rather, Christians are people who remain convinced that the truthfulness of their beliefs must be demonstrated in their lives. There is a sense in which Christian convictions are self-referential, but the reference is not to propositions but to lives." Brazos Press (July 1, 2009). 160 pages. In this work, eminent theologian Stanley Hauerwas shows how the sermon is the best context for doing good theology. He writes, "I am convinced that the recovery of the sermon as the context for theological reflection is crucial if Christians are to negotiate the world in which we find ourselves." The book includes seventeen sermons preached by Hauerwas, which he considers his best theological work and hopes exemplify the work of theology. The sermons are divided into four sections: seeing, saying, living, and events. Titles range from Believing Is Seeing and Was It Fitting for Jesus to Die on a Cross? to Only Fear Can Drive Out Fear and To Be Made Human. Each sermon includes where and when it was preached and references relevant Scripture passages. Excerpt I have increasingly come to the recognition that one of the most satisfying contexts for doing the work of theology is in sermons. That should not be surprising because throughout Christian history, at least until recently, the sermon was one of the primary places in which the work of theology was done. For the work of theology is first and foremost to exposit scripture. That modern theology has become less and less scriptural, that modern theology has often tried to appear as a form of philosophy, is but an indication of its alienation from its proper work. I am, therefore, making these sermons available because I think they are not only my best theological work, but because I hope they exemplify the work of theology. Wipf & Stock Pub (August 24, 2004). 252 pages. Wipf & Stock Pub (January 20, 2003). 132 pages. "If anything, these prayers are plain. They are so because I discovered I could not pray differently than I speak. In other words, I thought it would be a mistake to try to assume a different identity when I prayed. I figured Texans 'figure' that God could take it, because God did not need to be protected. I think I learned this over the years by praying the Psalms in church. God does not want us to come to the altar different from how we live the rest of our lives. Therefore I do not try to be pious or use pious language in these prayers. 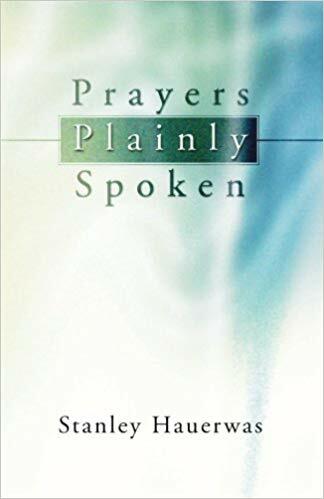 I try to speak plainly, yet I hope with some eloquence, since nothing is more eloquent than simplicity" So writes Stanley Hauerwas in the introduction to this collection of prayers, as inimitable as the widely respected (and argued with) theologian himself. Originally prayed in Hauerwas' divinity school classroom - on a variety of occasions including war, births, Yom Kippur and the death of a beloved cat - they not only display an invigorating faith but demonstrate how late-modern Christians can pray with all the passion, turbulence and life of the ancient psalmists. Brazos Press; First Edition edition (October 1, 2001). 256 pages. These lectures explore how natural theology, divorced from a confessional doctrine of God, inevitably distorts our understanding of God's character and the world in which we live. Hauerwas criticizes those who use natural theology to defend theism as the philosophical prerequisite to confessional claims. Instead, after Karl Barth, he argues that natural theology should witness to "the non-Godforsakeness of the world, even under the conditions of sin." Stanley Hauerwas has good news for the church: theology can still tell us something significant about the way things are. In fact, the church is more than a social institution, and the cross of Christ, never peripheral, is central to knowing God. Whatever our native moral intelligence, the truth that is God is not available apart from moral transformation. Ultimately--and despite the scars left by modernity--theology must translate into a life transformed by confession and the witness of the church. Duke University Press Books; 1st edition, paperback issue, edition (July 23, 2001). 729 pages. Brazos Press (December 1, 2000). 288 pages. Abingdon Press (April 1, 1999). 112 pages. Abingdon Press (January 1, 1999). 264 pages. Hauerwas argues that the truth of the gospel cannot be discovered apart from its embodiment in specific communities of faith. The Christian life, he argues, is not about being in possession of "the truth," defined as a set of timeless and universal principles of belief and action. Rather, it is about learning and living the life of truthfulness toward God and one another. Wipf & Stock Pub (October 1, 1997). 376 pages. Narrative Theology is still with us, to the delight of some and to the chagrin of others. 'Why Narrative?" is in reprint because it represents what is still a very important question. This diverse collection of essays on narrative theology has proven very useful in university and seminary theology classes. It is also of great use as a primer for the educated layperson or church study group. Jones and Hauerwas have done an excellent job of selecting representative essays that deal with appeals to narrative in areas such as personal identity and human action, biblical hermeneutics, epistemology, and theological and ethical method. Westview; 1st US Ed edition (September 25, 1997). 272 pages. Wilderness Wanderings slashes through the tangled undergrowth that Christianity in America has become to clear a space for those for whom theology still matters. 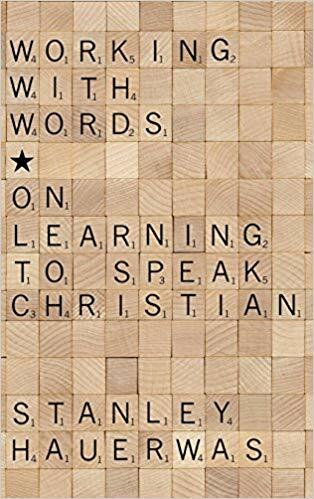 Writing to a generation of Christians that finds itself at once comfortably “at home” yet oddly fettered and irrelevant in America, Stanley Hauerwas challenges contemporary Christians to reimagine what it might mean to “break back into Christianity” in a world that is at best semi-Christian. While the myth that America is a Christian nation has long been debunked, a more urgent constructive task remains; namely, discerning what it may mean for Christians approaching the threshold of the twenty-first century to be courageous in their convictions. 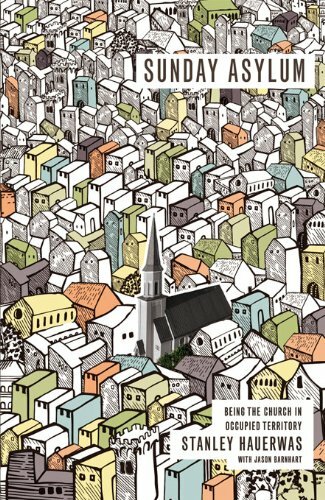 Ironically, reclaiming the church's identity and mission may require relinquishing its purported “gains”—which often amount to little more than a sense of comfort, the seduction of feeling “at ease in Zion”— to take up again the risk and adventure of life “on the way.” Accordingly, this book gives no comfort to the religious right or left, which continues to think Christianity can be made compatible with the sentimentalities of democratic liberalism.Such a re-visioned church will not establish itself through conquest or in a reconstituted Christendom, but rather must develop within its own life the patient, attentive skills of a wayfaring people. At least a church seasoned by a peripatetic life stands a better chance of noticing the changing directions of God's leading. The wilderness, therefore, ought not to appear to contemporary Christians in America as a foreboding and frightening possibility but as an opportunity to rediscover the excitement and spirit, but also the rigorous discipline, of faithful itinerancy. At such a crucial time as this, Hauerwas challenges Christians to eschew the insidious dangers that attend too permanent a habitation in a place called America and to assume instead the holy risks and hazards characteristic of people called out, set apart, and led by God. Wilderness Wanderings is a clarion call for Christians to relinquish the impermanent citizenship of a home that can never be the church's final resting place and confidently take up a course of life the horizons of which are as wide and expansive as the God who promises to lead.The book engages, often quite critically, with major theological and philosophical figures, such as Reinhold Niebuhr, Martha Nussbaum, Jeff Stout, Tristram Engelhardt, Iris Murdoch, John Milbank, and Martin Luther King Jr. These interrogations illumine why theology must reclaim its own politics and ethics. Intent on avoiding abstraction, Hauerwas intervenes in current debates around medicine, the culture wars, and race. University of Notre Dame Press; 1st edition (February 6, 1997). 248 pages. Christians among the Virtues investigates the distinctiveness of virtues as illuminated by Christian practice, using a discussion of Aristotle’s ethics together with the work of significant contemporary scholars such as Alasdair MacIntyre and Martha Nussbaum. 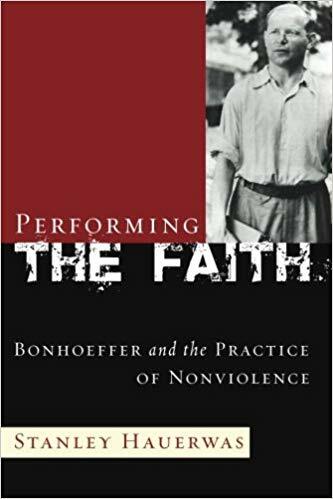 Hauerwas and Pinches converse with, learn from, and also critically engage powerful and explicitly non-Christian accounts of virtues, and then form a specifically Christian account of certain key virtues, including obedience, hope, courage, and patience. 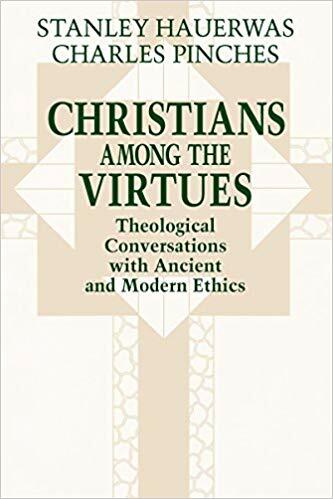 This book will deepen the current public debate about virtue by showing how different traditions and practices yield distinctive understandings of the virtues, and by articulating the particularity of virtues informed by Christian practice. Hauerwas and Pinches begin with a discussion of Aristotle’s account of happiness, virtue, and friendship, and explore how the temporal character of life threatens the possibility of being virtuous. The authors then contrast this idea with the Christian recognition of our temporal limitations as a call to virtue, rather than a threat. In the second section, the authors address a work by John Casey which attempts to present an account of the virtues purged of their Christian heritage. 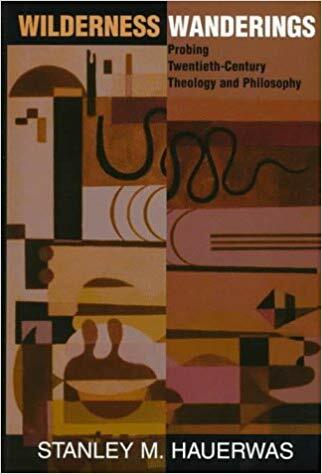 This analysis, as well as the critical readings of MacIntyre and Nussbaum, will be of particular interest to philosophers and theologians alike. The authors bring a theological voice to the popular and philosophical debates about virtue. While the work encourages Christians to think about what is unique to Christian virtue, its specificity does not limit its applicability but opens up and deepens the debate over the particular interpretations of virtues: calling on others to present more specific articulations of what it means to be courageous, obedient, hopeful, and patient, and to contrast those accounts with the Christian interpretations presented by the authors. In this respect, Christians among the Virtues is the first work in what could be called the “second stage” of the recovery of the virtues―the work of understanding the difference among interpretations of the virtues in the light of different practices and traditions. Abingdon Press; 1st edition (April 1, 1996). 124 pages. 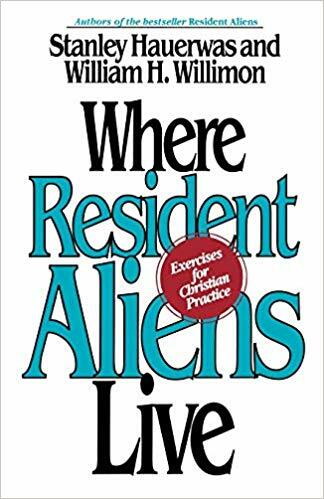 Stanley Hauerwas and William H. Willimon return with spirited offensive strategies for feisty resident aliens. 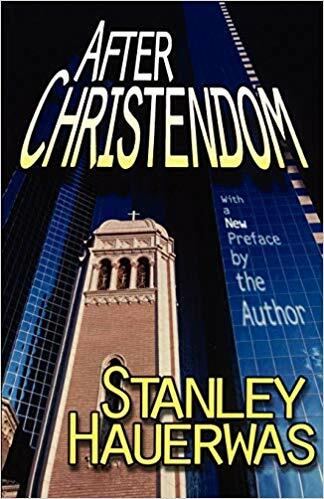 A resident alien knows who the enemy is, and here is a guide to the Christian initiation, practice, and discipline that is required for a people at war with the world. Some Christian liberals think that resident aliens are sectarian, and that they wish to withdraw from engagement with the world. God forbid! 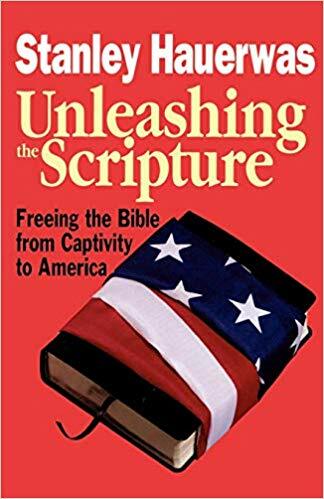 The book is thus full of stories of resident aliens who have been baptized, trained, and conditioned -- like Marines in boot camp -- to be new citizens and find a new home in the distinctly Christian community. Some Christian conservatives want a "to do" list that lays out the program for becoming a congregation or small group of resident aliens. Or perhaps they want a list of beliefs that might be defended. You won't find that here, for these desires are what ails the disestablished church. A list of options and choices, or an elective program for "wannabe" resident aliens, is an accommodation to the false god of freedom. 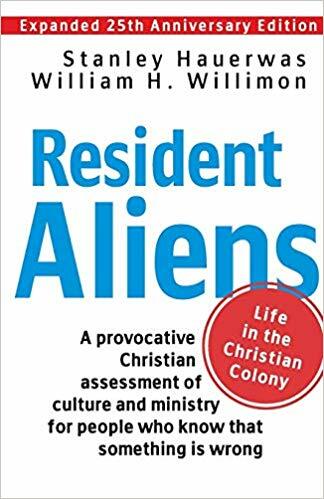 Resident aliens are imitated and understood by telling their stories, by enfleshing their practices in the narrative that becomes part of the unfolding Christian story. Abingdon Press; Student/Study Guide edition (February 1, 1996). 112 pages. University of Notre Dame Press; New edition edition (July 31, 1995). 288 pages. 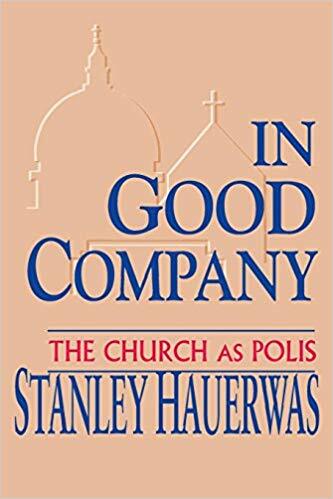 By exposing a different account of politics—the church as polis and "counterstory" to the world's politics—Stanley Hauerwas helps Christians to recognize the unifying beliefs and practices that make them a political entity apart from the rest of the world. Eerdmans; Later Printing Used edition (December 12, 1994). 168 pages. University of Notre Dame Press; 1 edition (August 31, 1991). 208 pages. 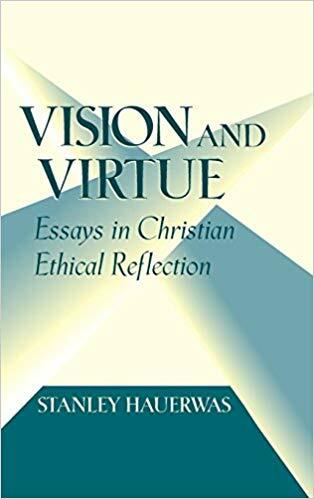 Stanley Hauerwas presents an overall introduction to the themes and method that have distinguished his vision of Christian ethics. 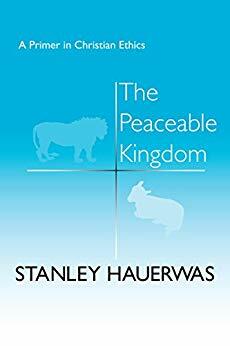 Emphasizing the significance of Jesus’ life and teaching in shaping moral life, The Peaceable Kingdom stresses the narrative character of moral rationality and the necessity of a historic community and tradition for morality. Hauerwas systematically develops the importance of character and virtue as elements of decision making and spirituality and stresses nonviolence as critical for shaping our understanding of Christian ethics. University of Notre Dame Press; 1st edition (1994). 272 pages. Some fourteen years after its initial publication, this important and influential book, with a new, substantial, and candid introduction by the author, is available in a reasonably priced paperback edition. 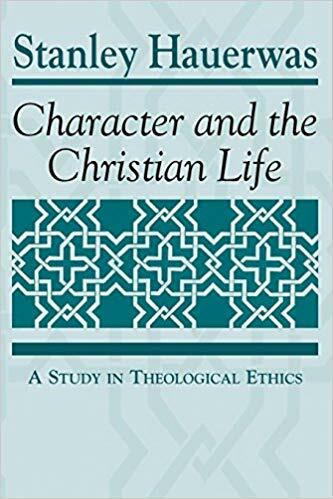 In this volume Hauerwas assesses recent interest in the “ethics of character” and suggests areas in his own work that now call for some corrective and/or further work. Duke University Press; 1st edition (May 20, 1994). 248 pages. Abingdon Press; 1st edition (October 1, 1993) 160 pages. University of Notre Dame Press; New edition edition (September 30, 1992). 208 pages. Against the Nati. 208 pages.ons is Stanley Hauerwas's most wide-ranging and sustained effort to develop a uniquely Christian ethic. The book moves from such general themes as "Keeping Theological Ethics Theological" and "Keeping Theological Ethics Imaginative" to the application of these themes to such diverse topics as the Holocaust, Jonestown, the reality of the Kingdom, the reality of the Church, the democratic state, nuclear war, and disarmament. University of Notre Dame Press; 1 edition (January 31, 1991). 312 pages. Leading theological ethicist Stanley Hauerwas shows how discussions of Christology and the authority of scripture involve questions about what kind of community the church must be to rightly tell the stories of God. He challenges the dominant assumption of contemporary Christian social ethics that there is a special relation between Christianity and some form of liberal democratic social system. Abingdon Press (October 1, 1991). 200 pages. University of Notre Dame Press (April 30, 1981). 264 pages. Describing Hauerwas' work as Christian ethics, one can allow that phrase its full scope of meaning. It is the work of an ethician, who is thoroughly conversant with that branch of philosophy and comes to grips with its major issues. He is also firmly committed to the view that, in modifying the substantive 'ethics' with the adjective 'Christian, ' one is designating a distinct reality. University of Notre Dame Press; 1 edition (September 30, 1977). 256 pages. 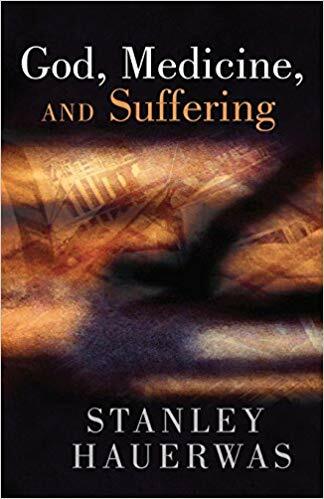 In Truthfulness and Tragedy Stanley Hauerwas provides an account of moral existence and ethical rationality that shows how Christian convictions operate, or should operate, to form and direct lives. In attempting to conceptualize the basis of Christian ethics in a manner that will render Christian convictions morally intelligible, the author casts fresh light on traditional theoretical issues and articulates the distinctive Christian response to contemporary concerns such as suicide, medical ethics, and child care. The first section of the book deals with methodological issues: the meaning and nature of practical reason, obligation claims, natural law, and self deception, and the affinity of story and ethics. It focuses on the relation of truthfulness and tragedy and the need for a story―a set of religious convictions or “grammar of theology”―that does justice to the tragic character of human existence. The second section addresses substantive issues: suicide, euthanasia, and the value of survival; the moral limits of population growth; the definition of “person” for medical reasons; and social involvement and Christian ethics. The overall theme is the need for a community in which truthfulness is a way of life. In the final section, devoted to the problem of how to care for retarded children, the implications of the author’s ethical position are given concrete expression. He discusses the assumptions underlying the willingness to have children, criteria for humanness, medical ethics, and how truthful communities deal with suffering. 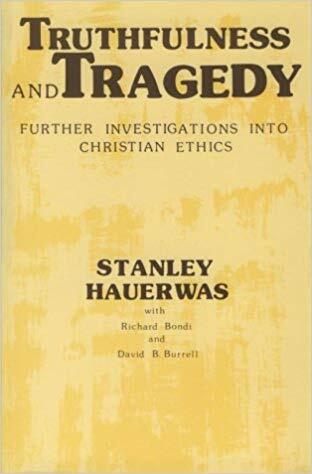 In Truthfulness and Tragedy Stanley Hauerwas extends and clarifies the ethical position set forth in his earlier books Character and the Christian Life and Vision and Virtue. He is associate professor of theology at the University of Notre Dame. He was a senior fellow in Christian medical ethics at the Joseph and Rose Kennedy Institute for the Study of Reproduction and Bioethics, and taught medical ethics at the University of Texas medical branch in Galveston. Pickwick Publications (September 20, 2018) 232 pages. How can the church navigate the challenges of our secular age? In The Church in a Secular Age, Norwegian and Pentecostal scholar Silje Kvamme Bjørndal takes on three dynamic thinkers, each in their own way, in search for insights to this question. Philosopher Charles Taylor offers the backdrop for the conversation, as Bjørndal carefully sifts out some of his most central tenets for understanding our secular age. 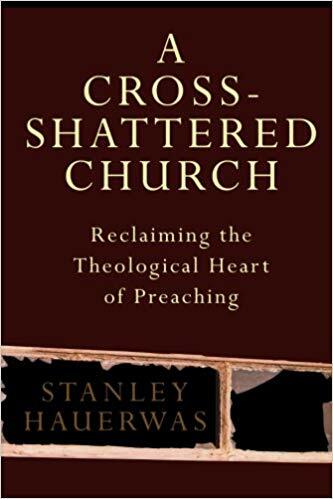 Bjørndal then turns to the theologian and ethicist Stanley Hauerwas and critically engages his notion of the church as a community set apart from our secular age. 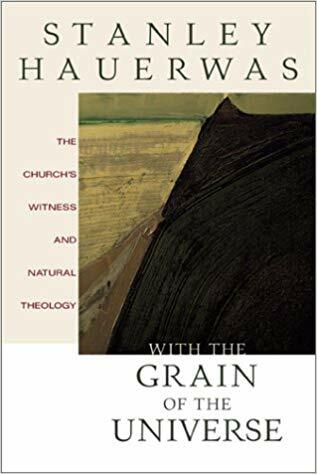 By bringing several of Hauerwas’s interlocutors into the conversation, Bjørndal manages to bring out both the acute relevance and the shortcomings of his ecclesiology. Thus, she finds that another turn is needed in order to offer a concrete, as well as creative, contribution to this ecclesiological conversation. 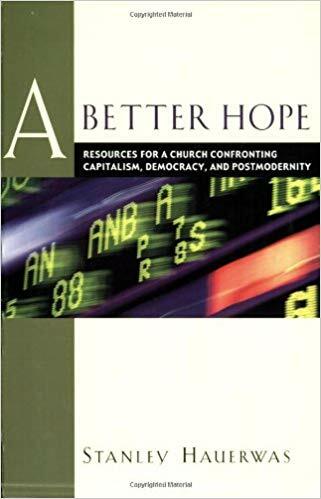 Considering the undeveloped pneumatological undercurrent in Hauerwas’s work, it proves fruitful to engage the leading Pentecostal scholar Amos Yong and his foundational pneumatology. This engagement results in a shift of agency, from the community to the Spirit. And keeping up the dialogue with Taylor’s secular age, Bjørndal demonstrates how the Spirit’s agency is crucial for the church as it attempts to navigate the particular challenges (and opportunities) of a secular age. Routledge; 1 edition (May 18, 2017) 240 pages. We live in a time of moral confusion: many believe there are no overarching moral norms, and we have lost an accepted body of moral knowledge. 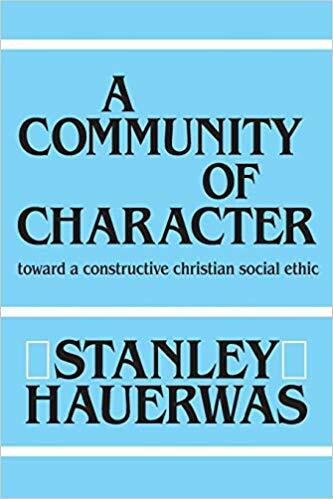 Alasdair MacIntyre addresses this problem in his much-heralded restatement of Aristotelian and Thomistic virtue ethics; Stanley Hauerwas does so through his highly influential work in Christian ethics. Both recast virtue ethics in light of their interpretations of the later Wittgenstein's views of language. This book systematically assesses the underlying presuppositions of MacIntyre and Hauerwas, finding that their attempts to secure moral knowledge and restate virtue ethics, both philosophical and theological, fail. 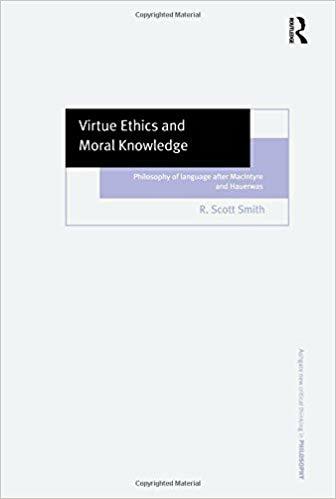 Scott Smith proposes alternative indications as to how we can secure moral knowledge, and how we should proceed in virtue ethics. Routledge; 1 edition (March 1, 2017). 256 pages. 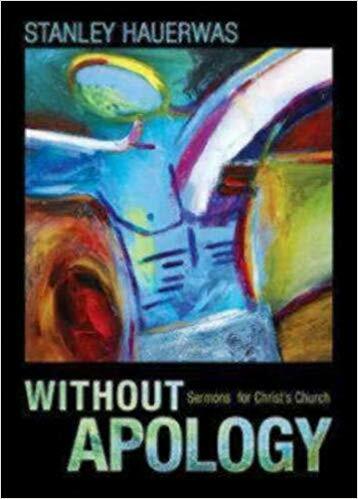 This book presents the theological work of Stanley Hauerwas as a distinctive kind of 'liberation theology'. John Thomson offers an original construal of this diffuse, controversial, yet highly significant modern theologian and ethicist. 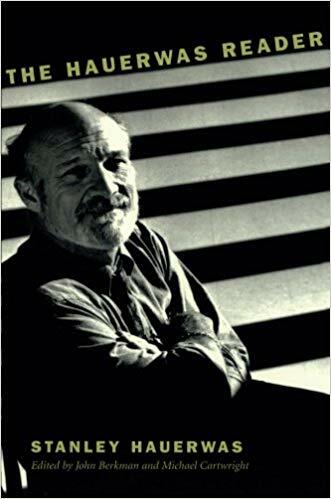 Organising Hauerwas' corpus in terms of the focal concept of liberation, Thomson shows that it possesses a greater degree of coherence than its usual expression in ad hoc essays or sermons. John Thomson locates Hauerwas in relation to a wide range of figures, including the obvious choices - Rauschenbusch, Niebuhr, Barth, Yoder, Lindbeck, MacIntyre, Milbank and O'Donovan - as well as less expected figures such as Gadamer, Habermas, Ricoeur, Pannenberg, Moltmann, and Hardy. 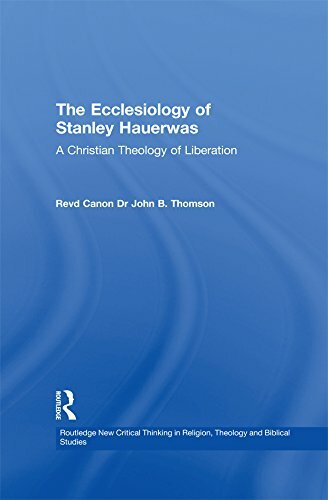 Providing a structured and rigorous outline of Hauerwas' intellectual roots, this book presents an account of his theological project that demonstrates an underlying consistency in his attempt to create a political understanding of Christian freedom, reaching beyond the limitations of the liberal post-enlightenment tradition. Hauerwas is passionate about the importance of moral discourse within the Christian community and its implications for the Church's politics. When the Church is often perceived to be in decline and an irrelevance, Hauerwas proffers a way of recovering identity, confidence and mission, particularly for ordinary Christians and ordinary churches. Thomson evaluates the comparative strengths and weaknesses of Hauerwas' argument and indicates a number of vulnerabilities in his project. T&T Clark (February 9, 2017). 366 pages. Stanley Hauerwas is arguably the most well-known figure in theological ethics of the last generation. Having published voluminously over the last 30 years, late in his career he has also published two volumes of essays discussing his corpus retrospectively, as well as a widely acclaimed memoir. The sheer volume of his work can be daunting to readers, and it is easy to get the impression that his retrospective volumes are restating positions developed earlier. Brian Brock delves into Hauerwas' formation as a theologian at Yale, his first book, Character and the Christian Life, and examines some of his early, and outspoken, criticisms of the guild of Christian ethics. This chapter is followed by a discussion of his memoir, Hannah's Child, and raises tricky questions about the role of autobiography in Christian ethics, as well as the troubling problem of race in the modern academy. 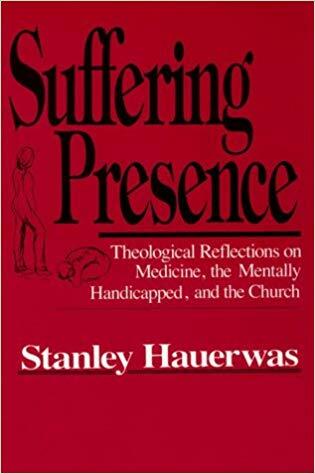 Brock explores Hauerwas' work on disability, his criticisms of the discipline of medical ethics, and the role played by vulnerability in his work. The next chapter examines his views on just war and pacifism, here probing the sensitive issue of the role of gender in his work, and leading into a discussion on the nature of the church's peaceable politics, in which his supposed hyper-ecclesiocentricism is examined. Brock examines the role of virtue in Hauerwas' thought, and teases out why he hates to be called a virtue ethicist. 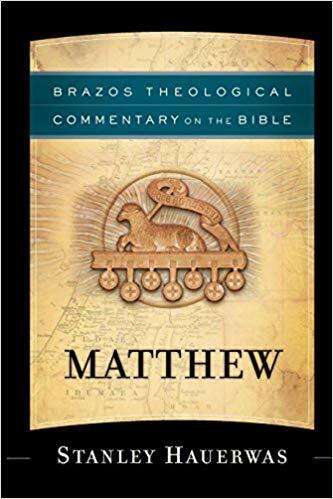 A final chapter asks him to respond to the recently levelled criticism that scripture does no work in his theology, focusing especially on his under-appreciated commentary on the gospel of Matthew. 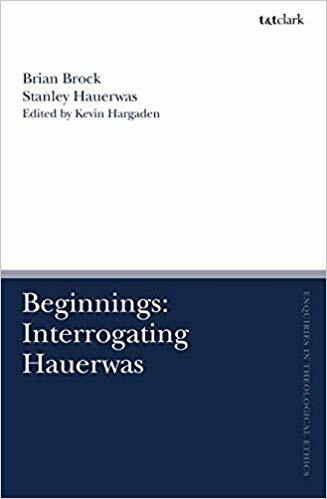 The editor of this volume has managed to maneuver Hauerwas into positions where he has directly faced tricky questions that he normally does not discuss, such as the accusation that he is racist, too soft on Yoder, or misogynist. Pickwick Publications (May 13, 2016). 302 pages. What is the church? What is its mission in the world? Modern Protestantism's inability to provide a clear answer to these seemingly simple questions has resulted in vast confusion amongst pastors about the nature of their calling and has left congregations languishing without a clear reason for existence. Many of the voices and allegiances competing for the churches' attention have rushed in to fill the void, with the result that the church in modernity has frequently found itself captive to the prevailing culture. Yet from within the belly of highly culturally accommodated churches, both the German nepastor-theologian Dietrich Bonhoeffer and the American theological ethicist Stanley Hauerwas were able to articulate compelling visions of churches freed from their cultural captivity in order to truly and freely serve God and neighbor. 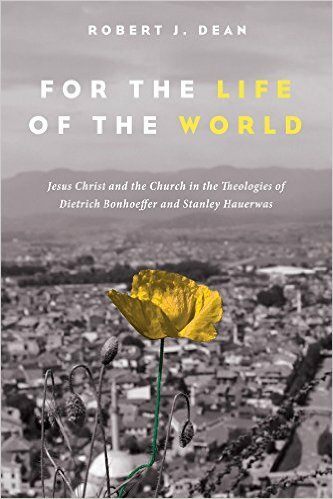 Against the complex and confusing backdrops of Nazi Germany and late twentieth- and early twenty-first-century America respectively, Bonhoeffer and Hauerwas sought to recover the ethical and political character of the Christian faith through recalling the church back to the christological center of its faith. Together they provide a rich set of complementary, and at times mutually correcting, resources for the contemporary church as it seeks to faithfully bear witness to Christ amidst the ruins of Christendom. Pickwick Publications (August 17, 2015). 246 pages. The role of witness is a recurring theme in the work of Stanley Hauerwas: it is through enacting the truth in a world of lies, through seeking peace in a world of violence, that witnesses show who God is, who we are, and what the world is like. 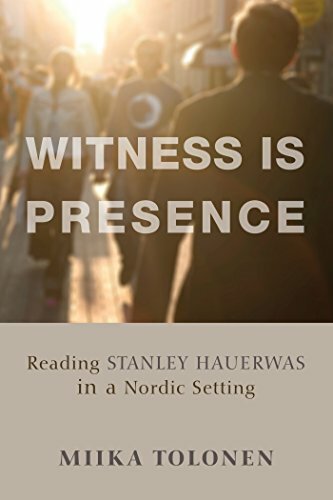 The Necessity of Witness is a study of Hauerwas and his fascinating but complex understanding of witness. Ariaan W. Baan argues that Hauerwas's approach makes a significant contribution to current debates in systematic theology on the relation between truth and life. Reading Hauerwas can be a precarious adventure. His rhetoric is overwhelming, but his argument is not always crystal clear and carefully formulated. 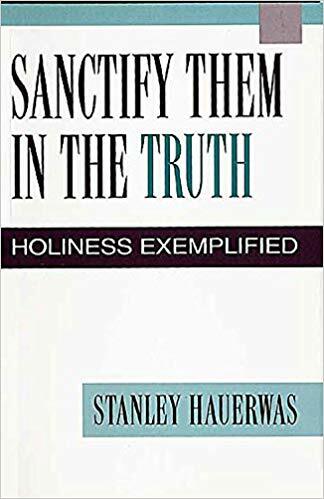 With the help of semiotic and philosophical analysis and biblical exegesis, Baan articulates Hauerwas's intuitions, fills some of the gaps in his argumentation, and discloses hidden biases. The results of this analysis sometimes surprise. Baan notes that unexpected pericopes in Scripture such as Isaiah and Revelation support Hauerwas's account of witness, and concludes that his work offers insight into how in our late modern society such diverse groups as martyrs and pop stars offer implicit witness through their lives. Wipf and Stock (January 7, 2015). 114 pages. Resource Publications (January 7, 2014). 200 pages. In a postsecular cultural situation the conditions for understanding and communicating a Christian tradition have changed. None of the established religions can any longer claim monopoly in the "marketplace of religions" A claim of this study is that a postsecular situation characterized, among other things, by dwindling memberships in established churches as well as a new visibility of alternative religious expressions, opens up a need to reflect on alternative ways of understanding Christianity in its context. This study focuses on the question, how can a Christian tradition be communicated understandably in a postsecular context? In traditional terms: how can Christian witness be understood in our situation? 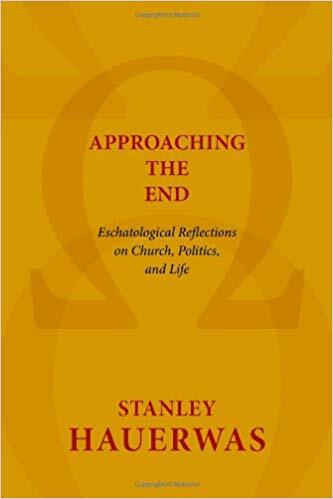 It is to this need, according to this study, that the ecclesiology of Stanley Hauerwas provides a meaningful perspective. This perspective becomes relevant because in a postsecular context a Christian church, even a folk church, cannot assume to be in a position of majority or power. There is, therefore, a need to ask how to understand Christianity as a community of witness that is neither in power nor a majority. The study suggests that embodiment of Christian convictions becomes a central factor in a meaningful postsecular notion of witness. 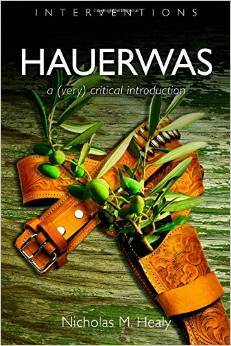 Hauerwas: A (Very) Critical Introduction by Nicholas M. Healey. Eerdmans (March 14, 2014). 160 pages. Stanley Hauerwas is one of the most important and robustly creative theologians of our time, and his work is well known and much admired. 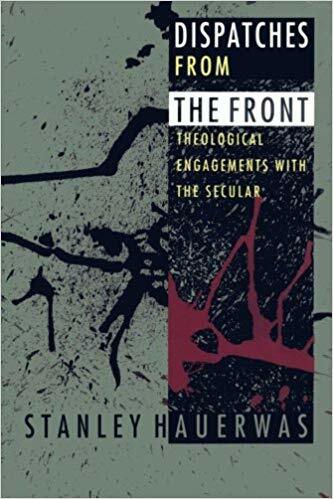 But Nicholas Healy -- himself an admirer of Hauerwas’s thought -- believes that it has not yet been subjected to the kind of sustained critical analysis that is warranted by such a significant and influential Christian thinker. 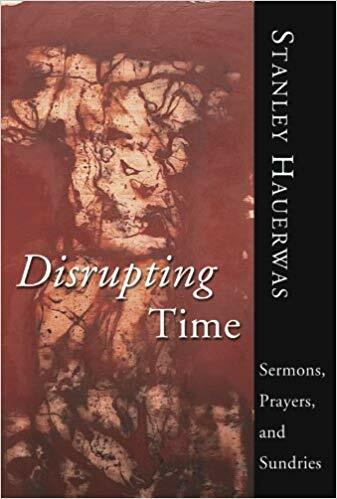 As someone interested in the broader systematic-theological implications of Hauerwas’s work, Healy fills that gap in Hauerwas: A (Very) Critical Introduction. Ecclesiocentrism, by John Webster. First Things October 2014. Evaluating the Theology of Hauerwas: It Begins with Church, by Scot McKnight. Jesus Creed 04/08/14.